The Festival will include performers from various cultural and faith traditions including Aboriginal, African-Burundi, African-Ghanese/Senegal, Chinese and Venezuelan. With One Voice Community Choir: Creativity Australia's With One Voice choirs welcome everyone. No matter what age you are or what language you speak, singing offers opportunities to learn, grow and express who you are. 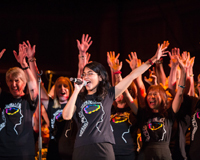 Led by professional conductors, the With One Voice choirs help you connect with your community and discover your potential. No singing experience is necessary; simply come along and join in! 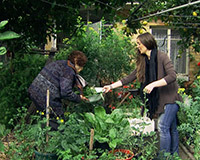 To find out more visit www.creativityaustralia.org.au. African Drumming with Boubacar Gaye: Bouba first laid his hands on a drum in Senegal at the budding age of 14. Inspired by the musical mentors around him he became a member of the infamous Mama Afrika. Under the guidance of ballet professor Joseph-Raphael Bouschanzl, Bouba’s skills and passion grew quickly and soon he was also a member of the renowned Foret Sacre Ballet. 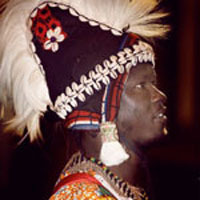 In 1997 Bouba ventured to Europe and then onto Japan where he established himself as a leading African percussionists. With an energy and peace of mind that resonates from deep within – Bouba speaks a thousand words with his drum. 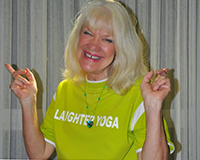 Laughter Yoga with Carolyn Nicholson: Carolyn Nicholson has always loved to laugh, so when she met Dr Madan Kataria the founder of Laughter Yoga she knew it was ‘meant to be’. Carolyn trained with Madan to become a Laughter leader and teacher, and for the last eleven years Laughter Yoga has been the main focus in her life. In 2013 Carolyn was given the award of International Laughter Yoga Ambassador by the founder of Laughter Yoga in India Dr Madan Kataria for her Laughter work all over Victoria, Queensland, Vanuatu and India. 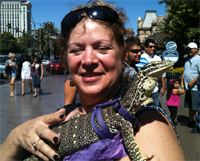 In the past Carolyn has worked as a Masseuse, Reflexologist, Counsellor, Pranic Healer, Reconnective Healer, Reiki , Vibrational Healing and also travelled to Austin Texas to train as a Trance Dance presenter. 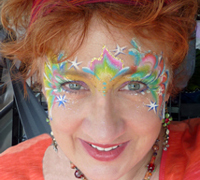 Carolyn says 'I love to laugh, love and heal myself and others'. My Laughter Yoga work gives me so much Joy and pleasure to see the changes in the people who participate in my Laughter sessions. A young Turkish woman pressured by her family to marry her boyfriend, decides to call off the marriage, which leads to tension in her family home. A short animated film that captures a childhood memory of the director’s family, at a time when the troubles of the Vietnamese war was forgotten and an unfamiliar place in South West Sydney contained hopes for a new generation. It’s Chinese New Year, which usually means dancing lions, dragons and red firecrackers, but 10-year-old Clancy is tired of Chinese Saturday School, and wants to impress the cool kids at his primary school. Ninety-four year old Giannoula spends an afternoon with her granddaughter Natalie, Their conversation is a journey through memories both fond and sad; from the cheekiness of childhood mischief to the heartbreak of losing the ones we love. Emmanuel is a young Sudanese Australian growing up in the Western Suburbs of Sydney. 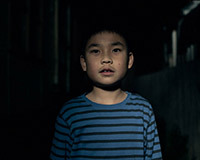 He is determined not to let his traumatic past as a refugee and a citizen of a war torn country define his future. He discovers a new way to express his pain and joy when unexpected news arrives. Indigenous Faces Exhibition: Auli O'Donnell has been painting indigenous faces for over a decade - Aboriginal, West Papuan, Siberian, North American, Vietnamese, Thai, Tibetan to name a few. Her main passion lies in capturing emotion in portraits, and has won many regional prizes with portraits in pastel, oil and charcoal. Auli also enjoys creating beautiful Australian landscape scenes. Boomerang Painting, Jewellery Making, Clay Sculpturing and Face Painting. Boomerang Painting with Uncle Lionel Lauch: Come and paint your own boomerang with Aboriginal artist Lionel Lauch. Learn about symbols used in Aboriginal paintings, reflect on the natural environment of the Mornington Peninsula and explore your creative side. 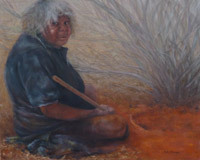 This workshop is a unique and perfect opportunity to learn about the rich Indigenous culture and to create something to take home or give as a gift. Indigenous Jewellery Making with Skyla Lauch: Skyla Lauch, daughter of Uncle Lionel Lauch, will present a workshop on Indigenous Jewellery Making. Join in and learn to make your own piece of contemporary jewellery made from natural materials to take home with you! 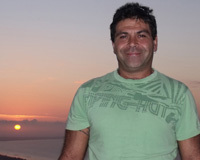 Bunna Lawrie (Aboriginal): Bunna Lawrie is an elder from the Mirning tribe, in coastal Nullabor. 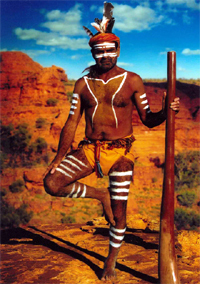 He is also a songman, whaledreamer and medicine man. 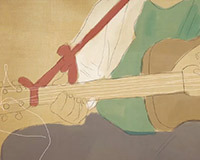 He is the founding member and sole songwriter of the renowned indigenous band Coloured Stone (whose hit songs include Black Boy and Dancing in the Moonlight). He has won many prestigious musical awards, including 3 ARIA Awards, the Don Banks Award, and last year the NIMA Hall of Fame. 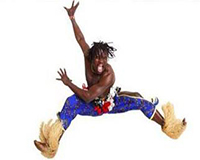 African Dancing with Fredrick Kpakpo Addo (Ghanese): A Master dancer and drummer, Fredrick Kpakpo Addo has recently arrived to Australia from Ghana, West Africa. He is a talented multi instrumentalist and has toured in Sweden, Israel, 22 states of the United States of America and also many African countries. In addition, he has worked with huge dance companies such as the Nokoba Dance Company, Kusum Gboo Dance Ensemble and the Anunyam Traditional Music and Dance Troupe. Te Hononga on nga Iwi (Maori): Te Hononga on nga Iwi translates to The coming together of the Tribes [Maori Tribes of New Zealand]. 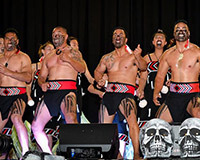 We are a Kapahaga group (a Maori performing arts group) based in the South Eastern suburbs of Melbourne. We are united together purely for the passion we have for our culture. With a majority of members never done Kapahaga before, we relish in teaching our Maori people (and others alike) who have never had the opportunity to live and learn about our culture. We are proud to be Maori. Girl Guides Victoria - Southern Region Singers (Community): One of the fundamental of the Australian Guide Program is "Traditions", and it has been a tradition for over 100 years for Girl Guides from all over the world to sing around a campfire. It is a magical feeling to be a part of a group singing with others while the flickering flames glow in the night, with many of the songs being sung known to all 10 million members in 145 countries around the world. The songs we sing today are just these songs, with another a purely Australian song. We hope you will enjoy our songs as much as we enjoy singing these, even though they are not around a campfire today. “ODIYAI” Group Music-Dance is one of the West Papuan cultural groups in Australia. “Odiyai” is a local ethnic language of Mee tribe for the Black Paradise bird in West Papua. Mee tribe is 1 of 255 tribes that exists in West Papua. West Papua consists of 255 diversity of tribes, language and cultures. The group is to represent the cultural identity of all West Papuans, through music, songs and dances; to represents and to tell the world about the lives of the West Papuans, their cultures, their believes, their struggle for justice and freedom, and also to send the peace message to others. To tell the world about the existence of the West Papuans, their beautiful land of Paradise and their rich natural resources that all need to be maintain and keep for the future generations.